A NEW dance and performing arts school for children – with top professional teachers and coaches – has opened at Sheerwater. 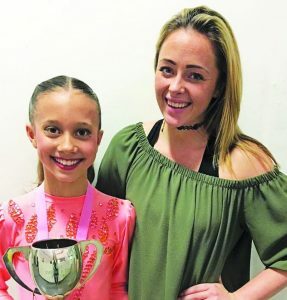 Megan Blower Academy of Dance and Performing Arts holds classes at Bishop David Brown School, where it has the use of facilities which include sprung floors, mirrors and ballet barres. The age range is three to 18 and there are already 17 young people studying ballet, tap, modern and free jazz dancing.